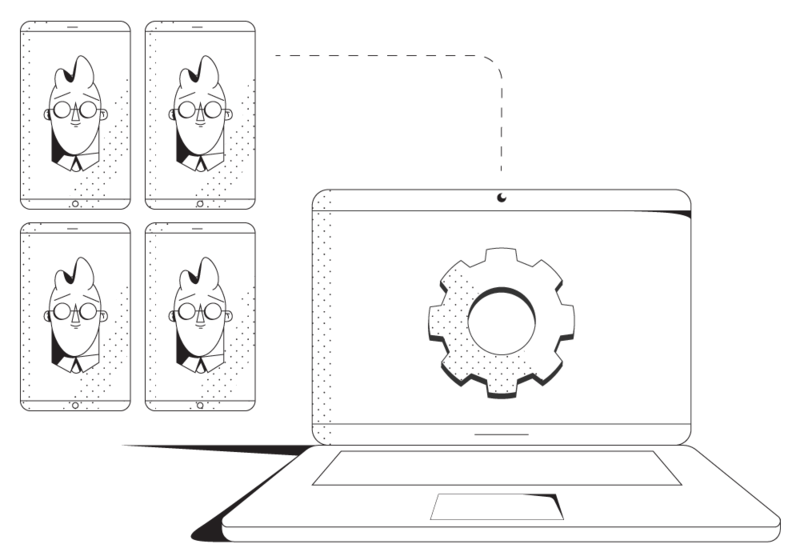 As a Speedify for Teams administrator, you will be able to create and remove users, add guests, manage subscriptions, and monitor statistics through our web console. Users can also be imported and exported through CSV files or the Speedify for Teams API. Read more about Centralized Account Management in the Speedify Knowledge Base. Speedify makes easy work of complex under-the-hood technology with simple set-it-and-forget controls that “just work.” Programs and services run as they normally would, but benefit from increased security as well as the speed and redundancy of multiple Internet connections. Speedify combines multiple Internet connections to increase throughput and redundancy. Get secure connectivity across fluctuating wireless networks with Speedify fast mobile VPN solution. Manage users and monitor stats via REST API with URL calls. Extensive documentation available. Get started in 60 seconds or less! Speedify is available for Mac, PC, iOS, and Android. Get Speedify for your entire company or organization!